Though nowadays he resides in Washington D.C., John M. Viola tirelessly commutes to New York City to visit his girlfriend Nicole Di Bona. He is still a regular at the local feasts of the “Madonna della Neve” and “Giglio” in his native Brooklyn. 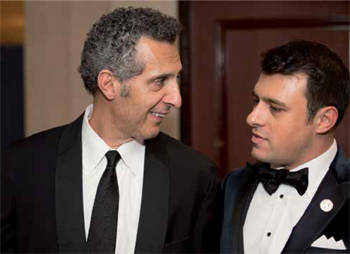 And, at 31, he is the youngest president in the four- decade history of the National Italian American Foundation. John traces all of his ancestry to Southern Italy. His paternal ancestors emigrated from the Vallo di Diano, Campania, today a UNESCO World Heritage Site. His maternal grandparents hail from Puglia (Palo del Colle) and Sicily (Palermo). 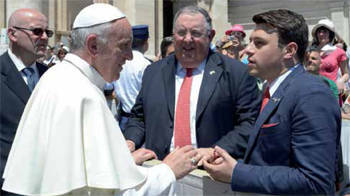 John’s father Vincent, himself a native Brooklynite who became a successful businessman, has been a vice- chairman of NIAF and a well-known philanthropist who, among other things, played a crucial role in the NIAF relief efforts in the aftermath of the Abruzzo earthquakes in 2009. President Viola holds a dual degree in Sociology and Anthropology from Fordham University, and made an early career in community leadership and development in Brooklyn. He also has experience founding and managing international and domestic programs. But leading NIAF is definitely his most challenging initiative to date, and John tackles it head-on. 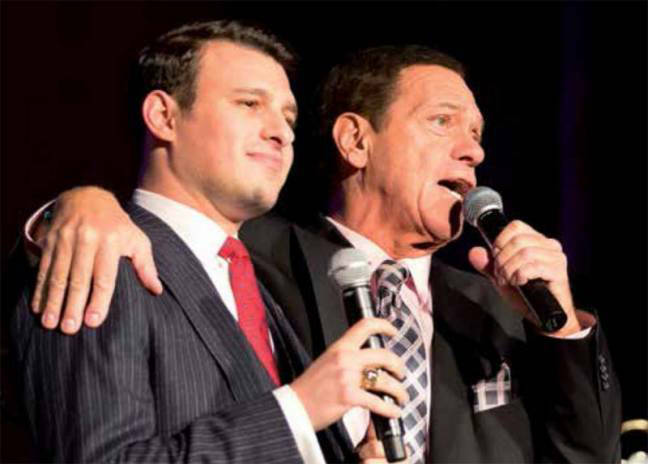 An exponent of a new generation of Italian Americans for whom being Italian is “a state of mind,” he envisages redefining NIAF’s mission by transforming it into a global institution, a worldwide ambassador of the “Italy” brand. NIAF was established in 1975. Who were the main founders and how did they come together? It’s hard to identify NIAF’s founders. There is a list of names attached to the first meetings in 1975. There’s our first Chairman, Jeno Paolucci, or our second, Frank Stella. There are names of families whom we all recognize—politicians, professors, priests, and community activists. 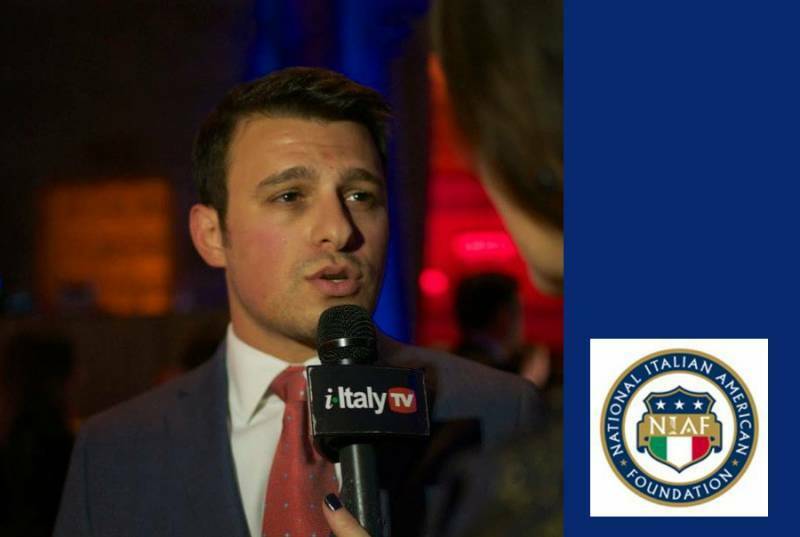 NIAF was started by a collective of Italian American men and women who saw that there could be more for our community than just fraternal organizations. There needed to be some central voice in the nation’s capital that could advocate for access where other groups couldn’t. NIAF really came together to fill a need in our community: the need for an institutional presence at a different level, not so much grass roots but pioneering. What would you say have been the major steps of NIAF’s development and its major achievements over the past 40 years? That would hardly fit in a short answer! I think our foundation has really done incredible work first of all in breaking into the halls of power here in Washington. If you look at where our community was in 1975 and where we are today, it’s a different story. Today we have two of nine Supreme Court Justices, a Speaker of the House, Italian Americans in major Cabinet positions, and an incredibly healthy, active, and diverse membership in the Italian American Congressional Delegation; members of both parties who rally around their heritage. All of that has been a big part of NIAF’s work. In terms of our educational mission, we have given tens of millions of dollars in scholarships and grants throughout the United States and Italy. We’ve been a major part of the leadership around saving the AP Italian Language Exam. We also mustered and directed resources, in a first of its kind public-private partnership, for earthquake relief in L’Aquila. I could go on, but needless to say I’m proud of all this organization has accomplished in 40 years. 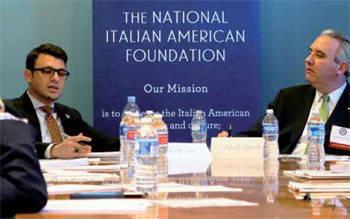 At one point in its history, NIAF was perceived as an “elitist” organization, sort of removed from “the real people” in the Italian American community, especially from young people. How come? I can understand how NIAF earned that reputation. Sometimes there’s a certain pomposity that comes with trying to show the world an organization that is serious about its work, and perhaps over the years we’ve gotten a little too comfortable in that position. But I don’t really think of us as removed from real people. I like to think of us as built from real people. The truth of the matter is, there’s a fine line between being elitist and being preeminent, and we strive every day to be preeminent: in what we do, in how we answer the needs of our Italian American community, in making courageous decisions, and in being made up of people who are self-selected, unique and, in a certain sense, elite. Not financially elite, but elite in their commitment to their Italian American heritage and to serving their Italian American community. The word elite should be used carefully. It should not be taken to mean those who have the most, but those who care the most, who are the most active, and who want to make a difference. In this sense, yes, we do want to be the elite of the community. What does it mean for you, a young professional in his 30s, to be an Italian American? And what relationship do you have with your “Italian side” and today’s Italy? What being Italian American means to me is a lot different than what it meant for my parents and my grandparents. 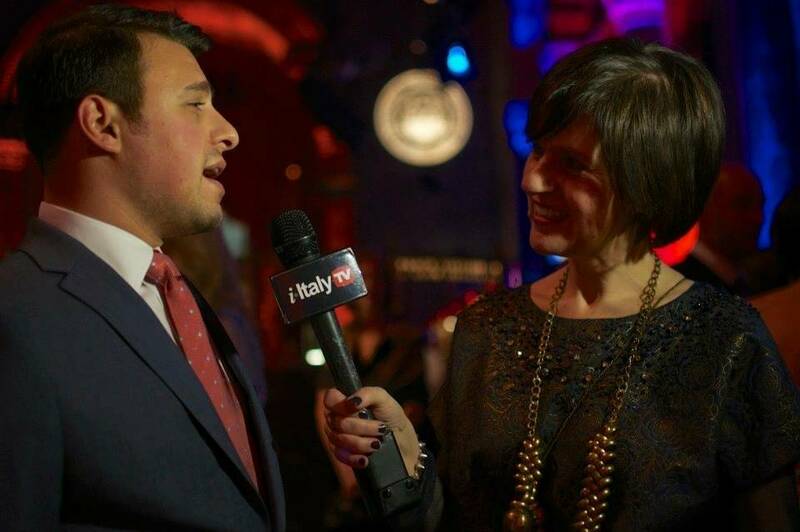 For me, being an Italian American means I get to enter a global world with a shared identity. I get to feel both fully American and fully Italian and a mix of the two. Even before I took this job, which requires my spending a lot of my time in Italy and participating in Italian society, I was there a lot. My family has always been back and forth. And my self-identifying with my Italian side has defined who I am. It’s hard to explain, but I feel as though I fully pertain to both cultures, and I think that’s okay in a modern context. I think in a global world where geography means so much less than it ever has, a person can be of two shared identities. Frankly, that’s also the future of our community and an organization like ours; a global context of being Italian American. What’s the difference between an Italian Italian (even one living abroad) and an Italian American? Traditionally these two communities have had some difficulties in talking to each other, in understanding each other. Why? What can be done to foster their mutual understanding? I think there are a lot of differences between the two communities but I also think they are quickly disappearing. Like I said, nowadays what you identify as is self-selective. People can get on the Internet and see any place in any corner of the world and have every opportunity to access as much information about that place and its culture as they want. You could live in the middle of New Jersey and feel Italian. Sure, you have to go and participate, but all of the resources are there. I think a major difficulty the two communities have in communicating is literally talking to each other. The language is a big divide. Italy has focused on improving the number of English language speakers and I think it is imperative that our community make the effort to take back the Italian language. People don’t want to talk about it, but we gave it up under a lot of anxiety and under the dark cloud of Second World War. The numbers drop drastically during and after that struggle. I think it’s time we said, as fully engaged and integrated Americans, it’s okay for us to be productively bilingual. And our second language should certainly be the tongue of our mother country. That way, when we go to Italy, we are not going out of a sense of nostalgia or because we have a vowel at the end of our last names. We are going as active and full participants. Tell us about the upcoming anniversary. It will be a little different this time. What’s in store? The 40th Anniversary is going to be by far the most exciting event we’ve put on in a long time. I think it’s fair to say that over the 40 years of this Gala Weekend, people’s expectations have changed and the younger generation is not looking for a head table and a veal chop. Now, we want to make sure that our event is accessible to everyone. We want to put forth something that’s dynamic and multifaceted. We want to hold events throughout the weekend for those who are passionate about their Italianness: chances for people to meet, network, and celebrate the feeling of being amongst their own. Ultimately we want our Gala dinner to be one of the premiere events on the social calendar in the nation’s capital—again. This year’s going to be incredibly different from anything you’ve seen in the past, and I don’t want to spoil all of the surprises we have in store, because there are many, but I will say that if you’ve been to our Gala every year for the past 39, this is going to be unlike anything you’ve ever experienced. I’d hesitate to leave the table for long if you don’t want to miss something really special. I suppose you could say this is our take on the Italian Oscars.